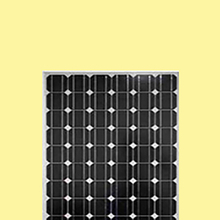 The spiritual leader in photovoltaic business - DIESOLIS Co., Ltd.
DIESOLIS in the industry belongs to the younger generations, far less is moral, Yingli, Artes pioneer well-known, but his president Yang Huaijin is an absolute industry veteran. He was involved in founded Wuxi Shang De, CLP photovoltaic, JA three photovoltaic enterprises, and leading or participating in the succession of landing the wall street of the capital market. After the end of 2009 to organize the first class management team reorganization of the Polytron Technologies Inc, and in 2012 in the Shanghai stock exchange to resume trading. To the humble and low-key style, won the recognition of the industry as a whole, and dubbed the "photovoltaic Godfather", but Yang Huaijin said those not glorious history, but that he was ashamed. The grizzled man seldom Zijin, day in and day out he copied in meditation, but demand but is a quiet word. On December 14, 2005, Shi on the New York Stock Exchange hit the bell, Wuxi Suntech listed become first landing NYSE private enterprises in China, Shi Zhengrong Suntech has become a well-known legend with is the founder of Yang Huaijin is not to know. 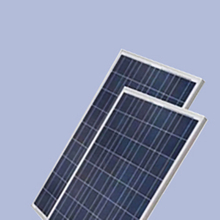 Shi fortune story has multiple versions, vivid have a basic embryo - photovoltaic technology wizards Shi meets the Wuxi government Bole Li Yanren (when he was Secretary of Wuxi City Economic and Trade Commission and the director, the incumbent Hareon directors) and landing project, funds, only after the scenery. Yang Huaijin and bole Chollima as virtuous recommended to people, unknown to the public. Yang and Shi met in Australia during the study, in the late 1990s was optimistic about the development of photovoltaic industry, applied on the Australian technology laboratory research, Yang returned to China around to the government to sell PV projects, several times after hitting the wall, through the original teacher, after in Yangzhong City Government Office Xu Chengrong introduced, the project get the attention and recognition of the Wuxi City Deputy Secretary of the Chia Jung Wang, 2000, Australia far Shi family home founded Suntech. Since then, Suntech listed, Yang Huaijin occupies 6% of the shares. About Suntech's topic, Yang Huaijin reluctant to talk too much, in being asked why choose to withdraw from the Suntech, Yang Huaijin said his own problems. "To tell the truth, I think I do not really understand the management of Suntech, I will only become the company's burden, so leave." Yang Huaijin and Shi Zhengrong together founded Suntech, but after the listing turned to leave. 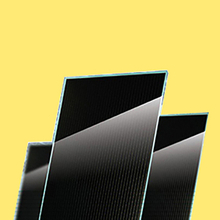 After the same story and in the Jiangsu photovoltaic and JA solar. Yang Huaijin Buddha Buddha never say not anyone, he always reconsider, follow people around him is so, Yang Huaijin co founded three companies and eventually ran away, what happens to the what few people to the media about, Yang Huaijin to "the pursuit of sustainable development" is a word to word. Copyright © 2016 DIESOLIS Co.,Ltd. All rights reserved.